Trust is central to our social lives. We know by trusting what others tell us. We act on that basis, and on the basis of trust in their promises and implicit commitments. On the practical side, discussions of cooperation address what makes society possible-of how it is that life is not a Hobbesian war of all against all. On the epistemic side, discussions of cooperation address what makes the pooling of knowledge possible-and so the edifice that is science. But trust is not merely central to our lives instrumentally; trusting relations are themselves of great value, and in trusting others, we realise distinctive forms of value. What are these forms of value, and how is trust central to our lives? 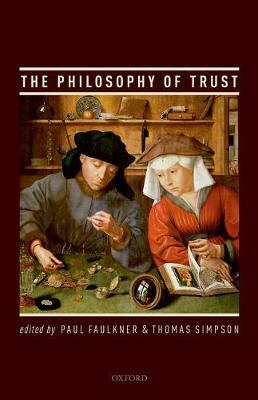 These questions are explored and developed in this volume, which collects fifteen new essays on the philosophy of trust.